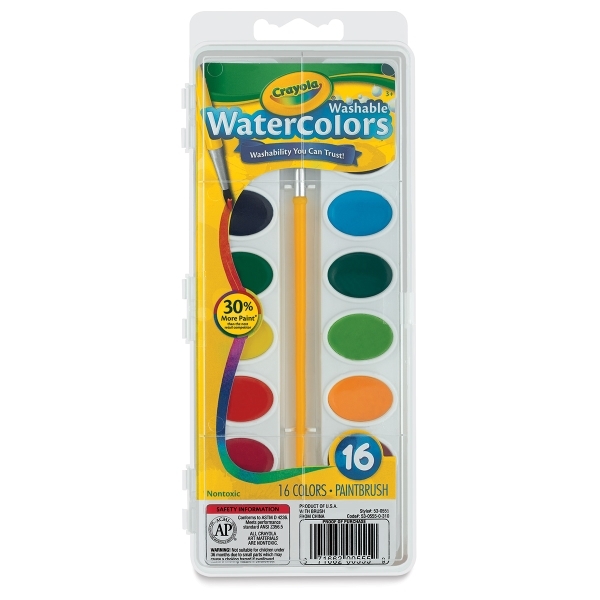 Truly washable watercolors for young artists. Available in 8 and 16-color oval sets and in a "So Big" 4-color set. Brush included. ® Crayola is a registered trademark.® So Big is a registered trademark of Binney & Smith.